If you’re on the verge of retirement and you love the beach, look no further than 10 best places to retire to in Baja Mexico. But if you’re leaning towards a more tropical haven like Mexico, you’ve come to the right place. We focused on the Baja Peninsula, or the small tail of land south of California and west of central Mexico. This location is most formally referred to as Baja California Sur, though it is a Mexican state. To give you the best towns to retire to, we used a ranking scale including variables like small town life, healthcare availability, weather, crime rates, cost of living and shopping. Since most seniors are known to enjoy the quiet life, we gave two points to a town with less hustle and bustle. Towns with only a small element of city life received a score of one, and towns with a heavy city atmosphere got a zero. 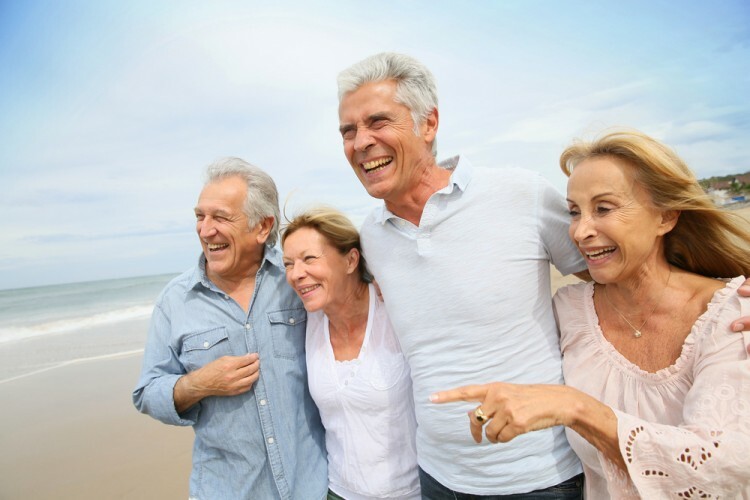 Healthcare is another important factor when considering a place to retire. Towns with a hospital and ambulance got a two, while towns with only small clinics received one point. Towns with no medical facilities got zero points. Weather can also heavily affect the quality of life, so we gave more points to towns with cooler temperature averages (since the blazing Mexican sun beating down daily is probably not every senior’s idea of a good time). Towns with a yearly average temperature of 80° Fahrenheit or below received two points, towns with average temperatures between 80°F and 90°F received a one, and towns with averages above 90°F (pity the residents) received zero points. No one wants to accidentally retire to a crime-infested town either, so those towns with very low crime rates were rated at two, and those with just a low crime rate received a one. Everything crime-ridden got a zero. And though there is one town on this list with a score of zero for crime, if you think the good outweighs the bad (and you have a black belt) feel free to give that one a try. Even though retirees have been saving practically all their lives for this moment, the idea is not to blow all the money in the first five years, so cost of living is also an important retirement location factor. Towns with a high cost of living got a zero, low cost of living locations received a one, and great cost of living a two. Lastly, shopping. Since some retirees may prefer an abundance of store options (or at least not to have an hour commute to Walmart), we considered this important too. Towns with great shopping got a two, towns with basically only grocery stores and tourist shops got a one, and towns where you have to grow your own food got a zero. We added up all the scores for each town, with a highest possible score of 12 points. And if you’re curious, most of the information for this article came from Mexico On My Mind and Expat Exchange. So here goes! 10 best places to retire to in Baja Mexico.